And amidst the freezing and windy winter days, New York City will once again feel the heat from 2016 Couture New York Fashion Week from 12 - 14 February 2016. And I just can't wait :). I am not a self-declared fashionista but I love everything about it, especially when it comes to the wastra nusantara or our traditional fabrics, geniously mixed with Indonesian designs. Just like the previous year, Couture New York Fashion Week will be filled once again with those incredible haute-couture pieces that will make your jaws drop. I was lucky enough to get a reserved seat last year for Diana Couture and it was an impressive show. Last spring we have 3 designers from Indonesia and after the big shows in Crowne Plaza Times Square, we had the open trunk show at the Consulate General of the Republic of Indonesia in New York. Again, all those beautiful dresses invited endless claps and admiration from the audience. And now, we have the 23rd session of the Couture New York Fashion. Starting from 12 -14 February 2016, this highly anticipated show is once again showcasing some fabulous haute-couture dresses created by designers from different parts of the world. Including Indonesia. 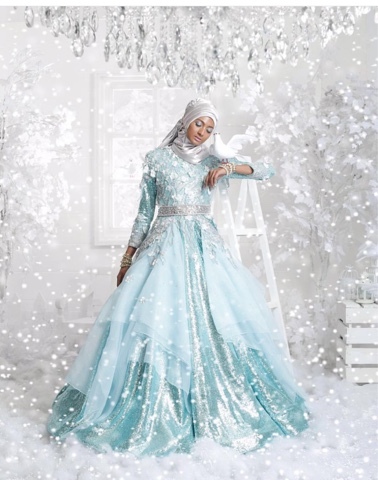 Anniesa Hasibuan and her breathtaking designs for this winter season, PEARLASIA, is ready make a big bang in 2016 Couture New York Fashion Week . I wrote about her before when she came to New York with Sasikirana, Anniesa Hasibuan's Masterpiece for New York Couture Fashion Week 2015. Obviously her talents and passion for intricate and elegant royal touch is graciously translated into her dresses. 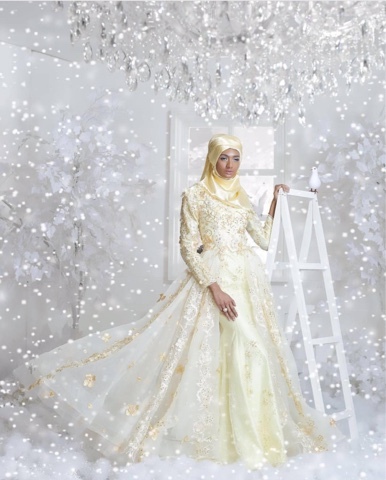 Here's a sneak peek of the exquisite PEARLASIA by Anniesa Hasibuan. Semua foto berasal dari akun instagram @anniesahasibuanofficial. So amazingly out of this world, right. You can see now why I am super excited to see the whole collection. Don't miss the show on Saturday, February 13th, 2016, 6 PM at the Crowne Plaza Times Square, Manhattan, New York. Certainly something to look forward to this weekend :). Can't wait, can't wait .. It looks like such an amazing show! I hope you take lots of pics to share with us! Wah, desainnya lux banget, mba. Keren deh, jadi terlihat seperti putri yg make. Keren banget desainnya. Aku suka warna-warna pastelnya, soft banget dan terlihat elegan.